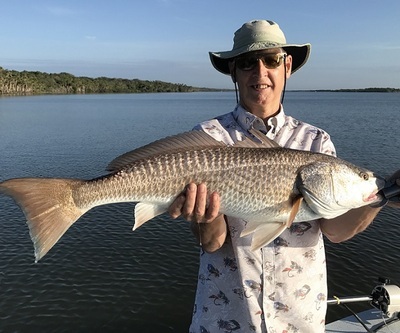 ���..Joe with another one of the mornings skinny water Redfish�����..
Backcountry variety catching trips have been fun all summer also, long time Flagler Florida clients out again recently landing all the different species including Greyson with his largest to date Seatrout��. John and son Mikie from Illinois had a fun first trip with me and Seatrout were cooperative, John with an over size Speckled Trout�������. 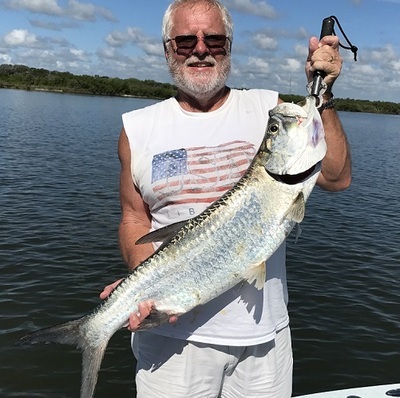 Long time Orlando clients out on another back water mixed bag trip with dad Craig and a good Seatrout on a live shrimp�������.